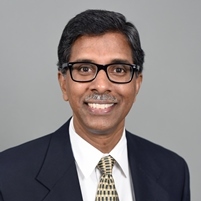 Bio: Ram M. Pendyala is the Interim Director of and a Professor of Transportation Systems in the School of Sustainable Engineering and the Built Environment at Arizona State University, where he has served on the faculty since 2006. Between 2014 and 2016, he served as the Frederick R. Dickerson Chair and Professor of Transportation Systems in the School of Civil and Environmental Engineering at Georgia Tech. Prior to joining ASU in 2006, he served on the faculty at the University of South Florida for 12 years. He teaches courses and conducts research in multimodal transportation systems planning, transportation demand forecasting, and traffic modeling. He has published extensively and completed more than $10 million in sponsored research. He is the Chair of the Planning and Environment Group of the Transportation Research Board and Associate Editor of Transportation Research Part D. He has his PhD and Master’s degrees from the University of California at Davis. Program: Rapid developments in vehicle automation and connectivity have spurred considerable debate on the extent to which these technologies may affect travel demand and transform the transportation system in terms of its performance, character, and energy and environmental impacts. Advanced vehicular technologies, such as connected and automated/autonomous vehicle systems, represent a new generation of disruptive forces that continue to evolve, with considerable speculation regarding their market penetration and adoption, impacts, and behavioral implications. This presentation offers an overview of potential changes in travel demand that may result from the increasing market penetration and adoption of these disruptive technologies. Results from recent research studies on potential behavioral impacts of autonomous vehicles will be presented, together with a discussion of implications for long range planning processes. One Professional Development Hour will be provided.